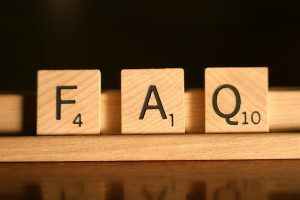 We know there’s plenty of shredding questions to ask, and so here we’ve compiled a list of information to help answer your common questions. Click on any of the links below to help answer some of the ones we get asked the most. If you want to speak to someone in person, no problem. Just give us a call at (800) 747-3365, send us an email at info@shrednations.com, or just fill out the form to the right. You can also visit our resource center for more information. Our headquarters is located in Lakewood, CO, but we service customers across North America. How do I schedule shredding services through Shred Nations? Contact us at (800) 747-3365 or fill out our form and we will help you find service providers in your area who are capable of handling your specific job size and type. We will connect you with our partners and they will provider free, no-obligation quotes. When you choose your provider you will schedule service with them. How do you figure out how much paper you have to shred? You can use our shredding calculator to find out how much paper you have. How much does it cost to shred my documents? The cost to shred your documents with a service varies depending on few factors including location, service type, volume, and more. Learn more about what to expect when pricing a shredding project. Large bales of paper shreds from industrial shredders are recycled. How much lead-time do you need to schedule service? This will depend on several factors including your distance from the service provider, the size of your job, the type of service you require and more. Learn more about what to expect when scheduling shredding services. Purchasing your own shredder is an option, but depending on your needs it can be costly and time consuming. Learn more about shredding services vs. purchasing your own shredder. I don’t need someone to come to me. Can I drop my documents off to be shredded at your location? Designated drop off centers exist across the country, but they are usually only economical for smaller shredding projects. Give us a call at (800) 747-3365 or use our zipcode search tool to find a drop off shredding center near you where you can pay by weight to have your documents shredded. What’s the difference between a cross-cut shredder and a strip-cut shredder? There are several differences between a cross-cut and a strip-cut shredder, the main difference being shred size. Learn more about the differences between cross-cut shredding and strip-cut shredding. Mobile shredding service sends a shred truck to your location to shred your documents onsite while you watch. Learn more about mobile shredding. What is Off Site Paper Shredding? Offsite shredding services send a large truck to your location to pick up your documents and safely haul them to a secure offsite facility for shredding. Learn more about offsite shredding. Witnessed shredding is a service option that allows you to watch as your documents are shredding for extra security. How can I get witnessed shredding service? Purge shredding is typically an annual shred project that requires a heavy duty shredder and usually takes care of dozens to hundreds or even thousands of pounds of expired documents at once. Schedule purge shredding service. A certificate of destruction is provided by some service providers as a certified acknowledgement that your shredding was completed in a safe, timely manner. Learn more about certificates of destruction. HIPAA is a security law affecting the document management processes in the medical industry. Learn more about HIPAA. FACTA is a security law affecting the document management processes of companies across industries. Learn more about FACTA. Shred Nations specializes in helping you find the mobile shredding contractor that’s right for your businesses regardless of the size of the job. To get started, fill out the form to the right, or give us a call at (800) 747-3365. Within minutes of receiving your request, you will receive quotes from local mobile shredding contractors so that you can select the company that best fits your project or office.